Another global affair this Saturday gone with races throughout the United States and in Mexico. We will cover the main event in Mexico City in a separate post. Our round up starts in Orlando, Florida where it was back to “The Future” as stand-out Troy Alston added another victory to his hegemonic ambitions in the Sunshine State. We asked last week if anything could stop him and on Saturday he answered with a resounding no, blitzing the 512 steps of the Bank of America Center (funnily looking like a mini-set of stairs on the Orlando skyline) in a time of 2:37. *Meep meep!! * In second place was Chris “Son of Apollo” Van Glahn in 2:53, with Thomas “Molten Puma” Scott taking the third place spot in 2:55. Solid times there guys; impressive stuff! Fastest woman down there in Florida, by quite a bit, was Brianna “Afterburners” Burnett who claimed victory in 3:34. She is only 16 so that’s excellent work from the young winner representing the “Dixie’s Chix” team. Love me them Dixie Chicks (probably the greatest ever rendition of the American national anthem can be seen here from them. Hope they played that when she collected her Fight For Air medal. Those harmonies!!). But back to business. There was a race in Salt Lake City, Utah but we can’t see the results for that yet. That included a 6-hour climb challenge so respect to all who beasted themselves with that one. 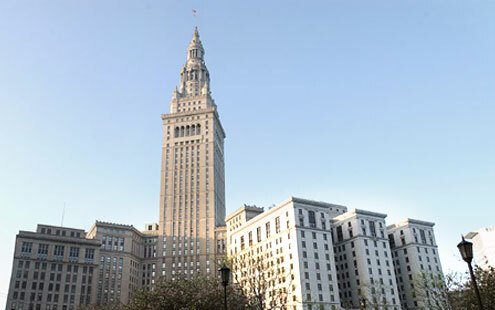 Up in Cleveland, Ohio there were just over 500 runners taking on the unique and distinctive 42 floor Terminal Tower. Overall victory went to Mick “The Nuke” Lucas who exploded up the stairwell in 5:36. Hot on his tail was Chris “I am Spartacus” Humphrey in 5:46, with third place going to Chris “The Serpent’s Dagger” Buhove. We have to mention Alan “The Hero” Zaffiro who was in the mix again after a win a few weeks back. He is keeping it real for the 50-59 aged guys up in Ohio, taking a very respectable sub-6 minute fourth place. Fastest woman in Cleveland, and also winner of nicest name of the day, was Blondell “The Bladed Ninja” Hinton. Her time was 7:18 and she is in the 50-59 age cat too. Inspirational stuff right there. 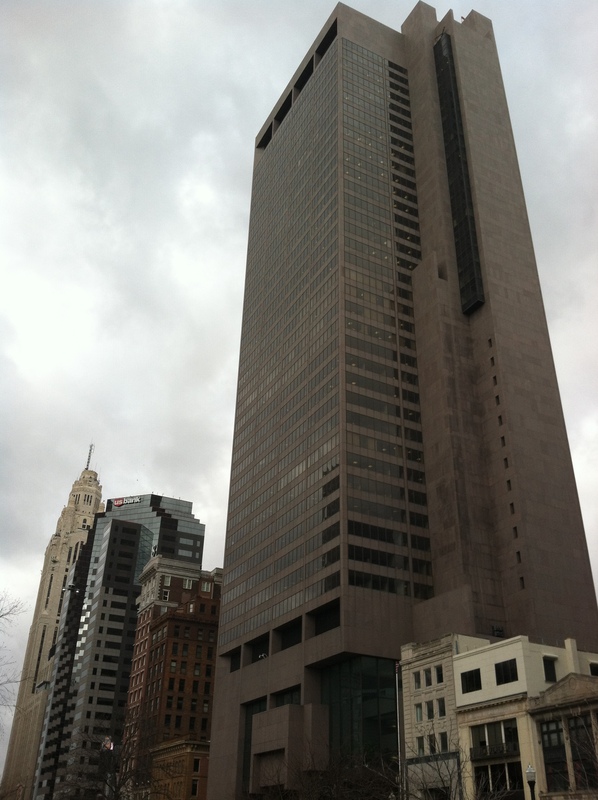 Staying in Ohio, but heading south-west to Columbus now, we come to the 5th Fight For Air Climb at the 880 step Rhodes Tower. Winner was Chris “Summer” Hayes in 4:49, the only sub-5 minute time of the day. Raising the sweet fist of victory in the women’s section was “The Colossus” Jeanine Kissinger in 7:10. As we know, the east coast of the USA is home to some real speedsters and we were hoping to see fireworks in the results from Boston’s Climb to the Top at the John Hancock Tower. Just under 650 people braved the futuristic looking building’s 1220 stairs and there was a big battle for the top spots. In the preliminary results here the top spot is taken by a nameless, elusive, Scarlet Pimpernel of the stairs, identified only by the bib number 345. Whoever it was was fast, as they finished in 7:02. Anybody know who it was? Did “The Schenectady Express” roll the Pain Train back into Boston? 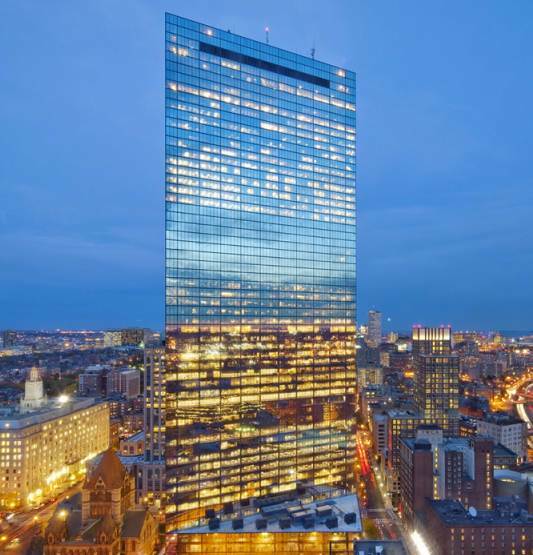 Second place was taken by Andrew “The Shadow” Beck (7:15), who was the winner at One Boston Place in 2014. Third place was Adam “The Stringer of Orpheus’ Harp” Cellemme, who was coming off the back of a solid win last weekend in New Haven, and had finished second at One Boston Place three weeks before that. A great start to the season for Adam. Fastest woman on the day, and 12th overall, was Zuzana “The Boston Rose” Trnovcova in 9:23. The Schenectady Express was not in Boston this weekend. Whoever clocked in at 7:02 is indeed fast.